Ngawa Tsegyam was born in 1964 in the Domed province of Tibet. He started going to school when he was seven, and finished high school from Ngawa public school in 1980. In 1983 he taught Tibetan language in Tibetan Primary school, and then became the vice principal of the school for a period of five years. 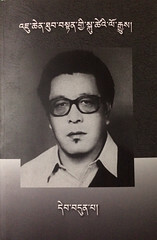 In college he became the head of the student union and edited “Don tak” magazine. In 1988 he graduated from college in Chinese and Tibetan language. Then in 1989 he was arrested and imprisoned for separatist activities by the Chinese authorities. In 1990 for a period of six months he traveled to various places in Domed and Dotoe province to do research work on history and to collect information about the places. He came into exile in India in 1992. Tsegyam stood first in the 1993 civil service examination of the Central Tibetan Administration, and was appointed as the Joint Secretary in the Tibetan Research Section of the Department of Security of the CTA. 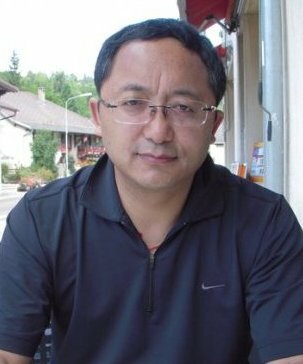 In 1995 he was promoted and became the Head of the Research Deparment, and three years later was appointed as a member in the Tibet China Dialogue committee. In April 1999 he was appointed as the assistant of the Representative of His Holiness in Taiwan. While serving in Taiwan, he contributed and wrote articles in the leading journals and newspaper in Hongkong and Taiwan. In 2003 he was appointed as the Representative of His Holiness in Taiwan. In May 2008 he was awarded a prize by the Taiwan External Ministry for his special role in strengthening the ties between Tibet and Taiwan. At the end of May 2008, Ngawa Tsegyam was transferred to the Private Office as the Private Secretary to His Holiness the XIV Dalai Lama.